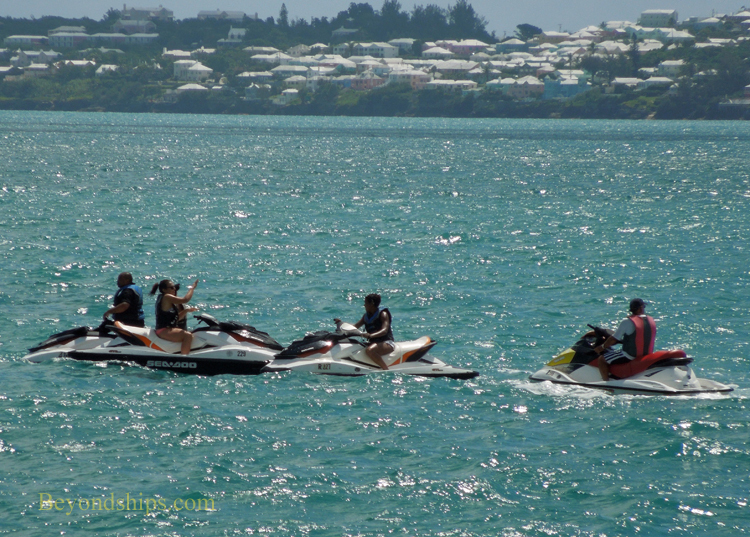 Bermuda offers a wide assortment of outdoor activities and places just to relax. The following is a sampling of some of them. 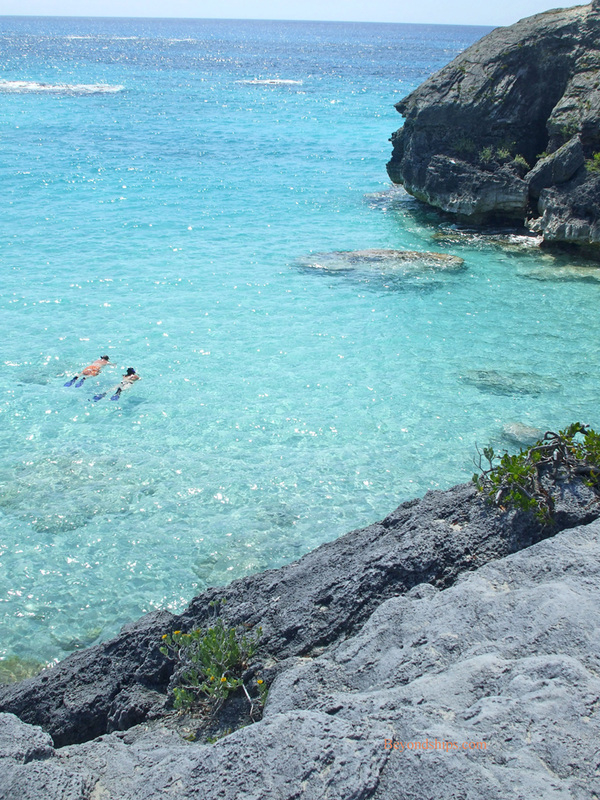 Over the years, many ships have been wrecked on the reefs that surround Bermuda. 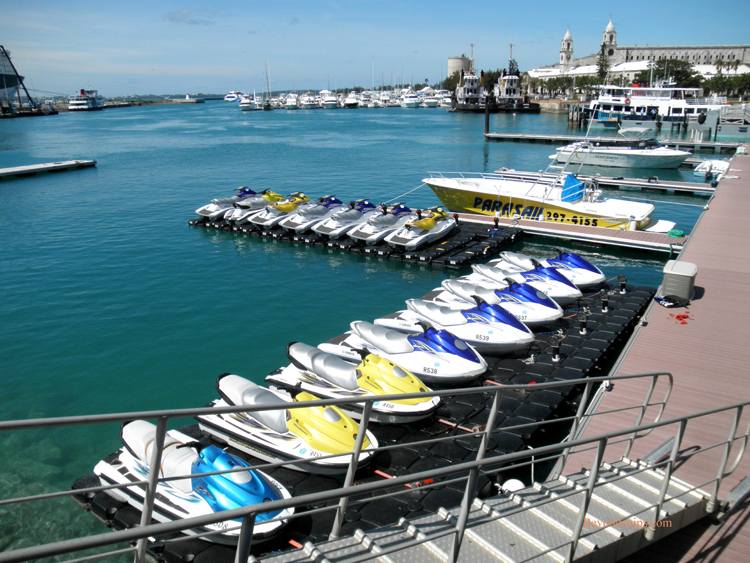 These are often of interest to scuba divers. 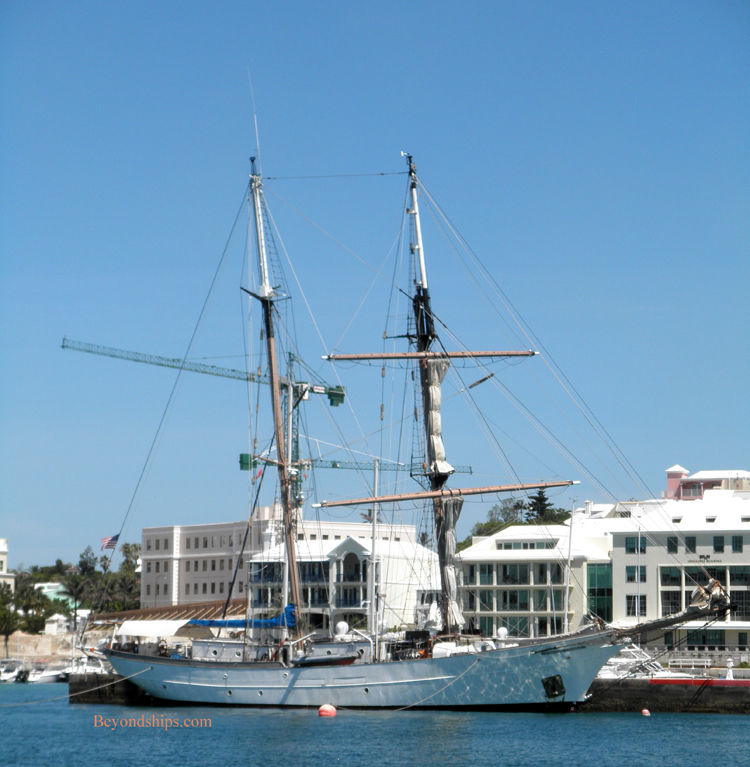 Bermuda is also known for boating and all types of craft from sail boats to jet skis can be seen in the waters around the island. 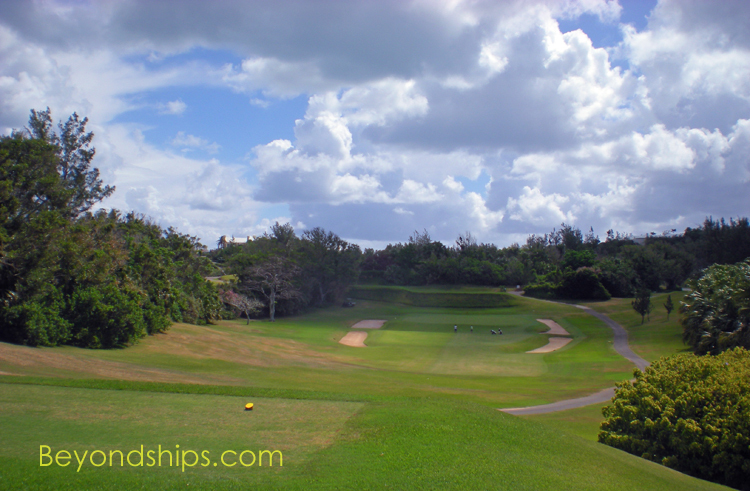 For its size, Bermuda has a disproportionate abundance of high quality golf courses. 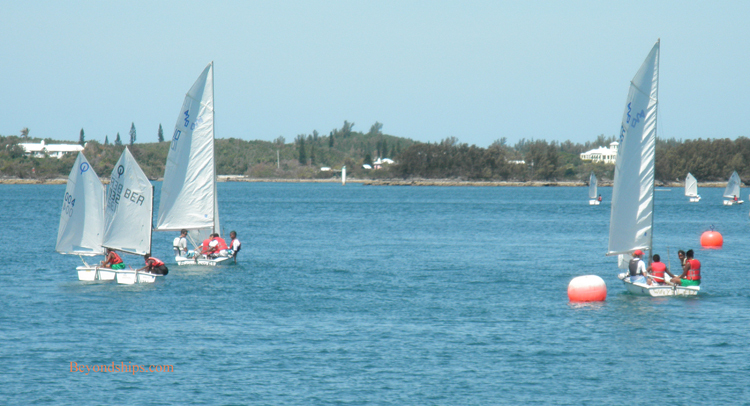 Above: Port Royal Golf Course. Above right: The Fairmont Southampton Golf Club. Below: The Mid-Ocean Club. 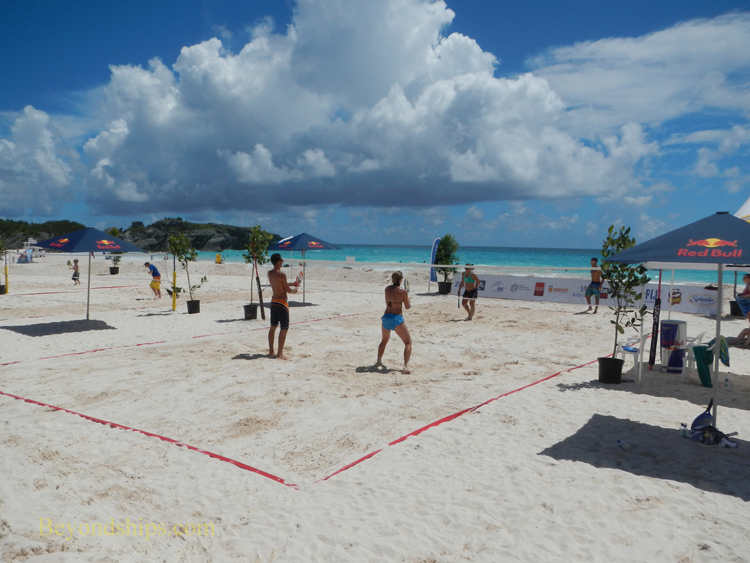 Right: Players compete in an International Tennis Federation - sanctioned beach tennis tournament at Horseshoe Bay.